Under the overall supervision of Project Manager and the direct supervision of the National Officer – Identity Management in Dar es Salaam, the successful candidate will be accountable and responsible for assisting in the implementation to activities under IOM Tanzania’s Migrant Registration Support for Tanzania project and its related activities. Provide administrative and logistical assistance in the implementation of the Migrant Registration Support for Tanzania project. Assist the project managers in drafting and compiling project documents, particularly activity reports, as required. Prepare PRFs and RFPs for all activities of the project and submit them to Resource Management for processing. Assist in organizing and making the necessary arrangements for numerous trainings/workshops/conferences for the project. Assist in liaising with the government partners and local authorities on the implementation of the project. Provide administrative assistance to information management on project related activities including project awareness raising and visibility; regular project updates, summaries, press releases and other relevant visibility materials, in coordination with the donor and the Project Manager; in coordination with the Project Manager, respond to any ad hoc information requests from the Government, UN partners, donors, Regional Offices and Headquarters. Liaise with IT for the coordination of biometric registration fairs throughout Tanzania. In coordination with the National Officer and IOM Operations colleagues, monitors and oversee case management processes of Assisted Voluntary Return (AVR) cases that will be assisted through the project; liaise/coordinate on said cases with IOM offices in countries of origin; prepare and submit monthly migrant assistance reports and identify potential issues on migrant assistance services. Organize and keep track of – through filing in hard and soft copies – of all documents related to the project. Draft clear and concise official letters, minutes and activity reports in English and compile, summarize, and present information/ data on specific project related topics, for example for Facebook, Twitter and other external publications. Attend and track internal and external meetings, including with ONE UN partners, as may be authorized by the supervisor. Undertake duty travel, as required.  Familiarity with the Tanzania Immigration Services Department advantageous.  Fluency in both English and Kiswahili, written and spoken, required.  Working knowledge of French and/or Kirundi advantageous. Refer patients to specialists for treatment as maybe required. Administer treatment and immunizations as per the receiving countries’ requirements. Ensure timely, accurate and complete reporting of all activities on the pre departure (examinations, treatment, immunization), as per IOM standards and as per the country of resettlement requirements. Assist in the analysis and technical elaboration of data gathered from the migration health assessment. Coordinate with the local/national health authorities, physicians, hospitals and laboratories, as needed. Inform and consult with the Head of the MHD and the COM on migration health issues and proposes corrective and adjustment measures. Provide healthcare advice to IOM staff in main and sub Offices. Undertake duty travel and medical escorting activities, to remote areas or refugee camps if needed.  Correctly frames migration health issues within their regional, global and political context. Organize and oversee all procurement activities, in line with the needs of the IOM Dar es Salaam and according to the IOM Procurement Policy. Set up and implement appropriate mechanisms to avid fraud and ensure transparency. Ensure all procurement documents are routed for approval using the IOM authorization matrix as applicable for the mission in the Republic of Tanzania. Liaise with IOM Administration in Dar es Salaam, to ensure that all IOM assets in Dar es Salaam are insured at all times through a reputable Insurance Company under the best terms and conditions. Follow up on any claims that may arise. Organize maintenance of all office equipment (excluding IT equipment) and security of Dar es Salaam Office and guarantee a continued supply of all essential utilities. Undertake IOM Dar es Salaam clearing & Forwarding assignments. Advise on importation & exportation of any duty‐free commodities and assist International staff in obtaining documents/licenses/exemptions etc. as and when appropriate.  Fluency in English and Kiswahili languages is required. fundamental pillar of the Organization’s work. 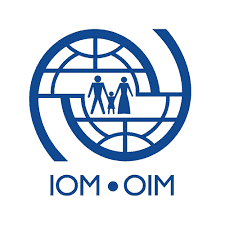 The organized movement of persons in need of international migration assistance is a primary mandate of the Organization and a cornerstone of IOM’s operations. This mandate has resulted in the international transport of more than 15 million migrants and refugees worldwide. Movement Operations departments in various IOM missions, coordinated under the division of Resettlement and Movement Management (RMM) in the Department of Operations and Emergencies (DOE) at IOM’s Geneva Headquarters, are responsible for all aspects of travel for migrants and refugees under IOM’s auspices, in accordance with the various framework agreements with resettlement and receiving Governments and partners across the spectrum of the Organization’s programmes. According to the 2019‐2020 Tanzania Country Refugee Response Plan, the United Republic of Tanzania is hosting approximately 250,590 Burundian asylum seekers and refugees who have arrived in the country in several waves since April 2015. The majority of refugees and asylum‐seekers are hosted by the Government of Tanzania in three refugee camps in the Kigoma region of Tanzania, namely: Nyarugusu, Nduta, and Mtendeli. In July 2017, the Government of Burundi issued a call encouraging Burundians in the camps to voluntary return, promising to help rebuild the economy in Burundi. On 28 March 2018, the 20th Meeting of the Tripartite Commission for the Voluntary Repatriation of Burundian Refugees in the United Republic of Tanzania was held in Bujumbura, Burundi. In a joint communique, Tripartite Commission members the United Republic of Tanzania, the Republic of Burundi, and the United Nations High Commissioner for Refugees (UNHCR) agreed to implement a work plan for the voluntary repatriation of Burundian refugees. Within this context, IOM, in coordination with UNHCR, the governments of the United Republic of Tanzania and Burundi, as well as local NGOs, has been responsible for the safe and orderly voluntary repatriation of Burundian refugees. Voluntary repatriation of refugees is a traditional area of intervention for IOM, in partnership with UNHCR. Such returns are achieved in accordance with protection concerns and procedures, and the principle of voluntariness. The IOM mission in Tanzania, through its office in Kibondo, has played the role of transport support. The IOM Kibondo office is primarily an IOM operations office, with administrative and financial support emanating from the IOM Kasulu Sub‐Office. Act as the focal entry point for administrative coordination between IOM Kibondo, IOM Kasulu and IOM Dar es Salaam. Act as the focal point for information sharing between IOM Kibond, IOM Kasulu and IOM Dar es Salaam. Complete and distribute all required movement‐related documentation prior to any movement organized by IOM Kibondo. Verify IOM Kibondo financial documents, as well as, prepare all necessary administrative/financial documentation/reconciliation for payment, for service providers, office expenses, and movement requirements, among others. Compile daily statistical data, and timely disseminate it to relevant units and managers within IOM Tanzania. Compile weekly statistical data, and timely disseminate to relevant units and managers in IOM Tanzania, as well as, inter‐agency partners. Compile monthly statistical data, and timely disseminate to relevant units and managers in IOM Tanzania, as well as, inter‐agency partners. Verify data integrity of the following: (a) invoice trackers; (b) receipt book trackers; (c) movement tracker; and (d) personnel/daily contract tracker. Coordinate the submission of regular invoices from IOM Kibondo to IOM Kasulu. Carry out any other tasks relating to the Burundi refugee transport operations. Carry out any other tasks, as may be assigned.  Ability sort and arrange data and visually display it using tools such as MS Excel. Posting Period: 11th April to 26th April 2019.